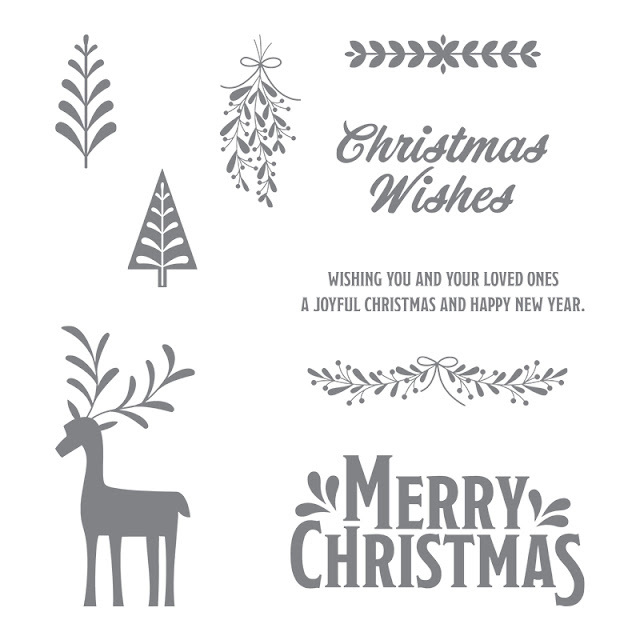 I'm here today to show you another Christmas card made with Stampin' Up! products. I can't believe how early I've started my cards this year - normally I start in late November and am still making them when I begin to write and send them! But with so many gorgeous products available for festive crafting from Stampin' Up! it is hard not to start creating! My card today uses a set from the Annual catalogue - "Merry Mistletoe" - so many lovely elements in this set which makes it so versatile. I already have at least six ideas of cards to make, each using a different stamp from the set. 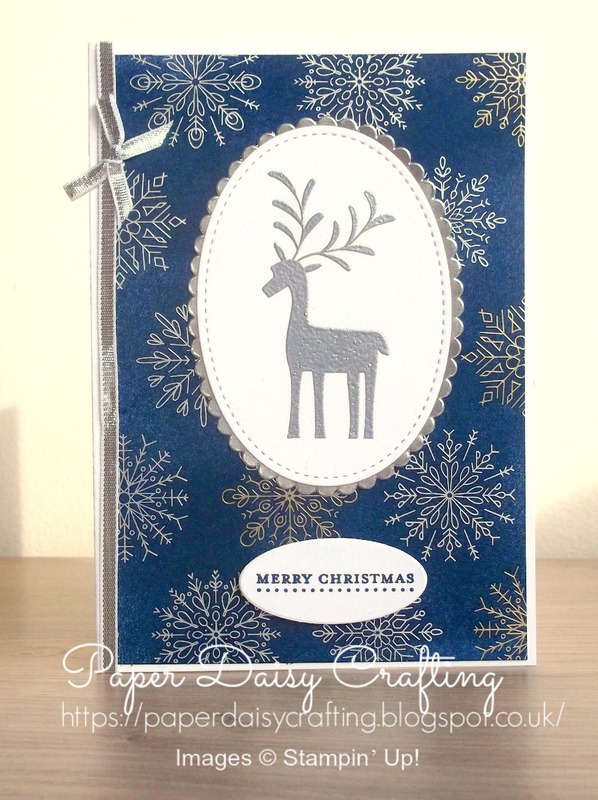 For my card I have used that gorgeous reindeer stamp. 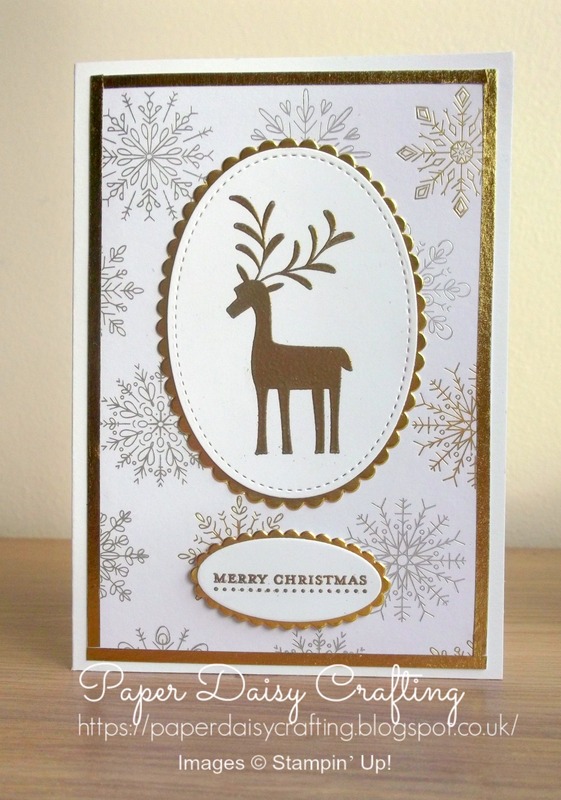 I stamped it with Versamark ink and then heat embossed with Gold Stampin' Emboss powder. It is so super shiny in real life - this next photo shows that I think. And I have used a panel of our "Year of Cheer" Speciality Designer paper. 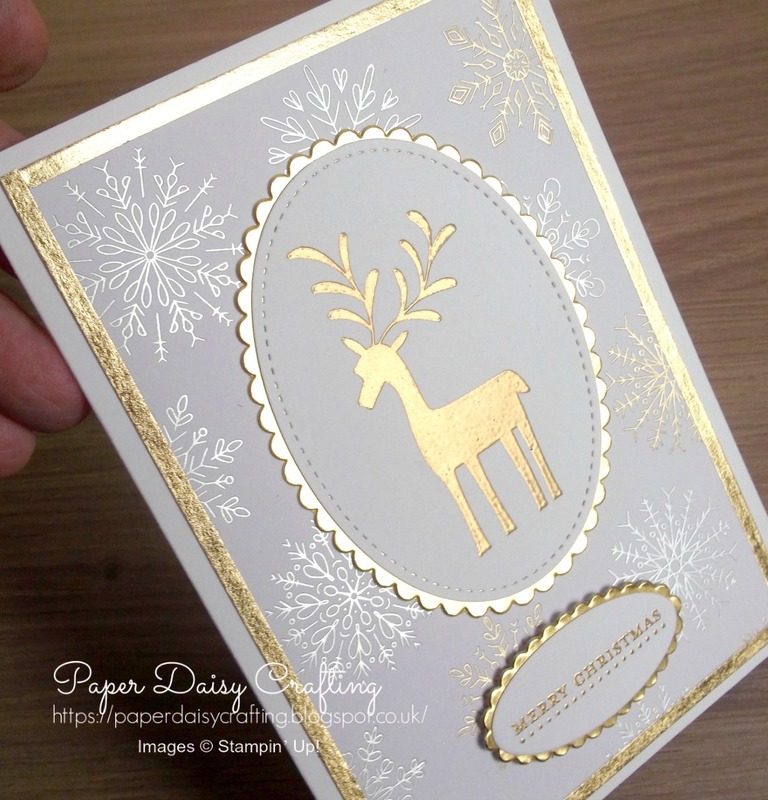 This is so pretty - really intricate snowflakes foiled in silver and gold. The gold edge is created with the Year of Cheer Speciality Washi Tape. Card blank - 21cm x 15cm, (8 1/4 ins x 6 ins) scored along the long edge at 10.5cm (4 1/8 ins) to create a card which is 10.5cm x 15cm (4 1/8 x 6 ins). 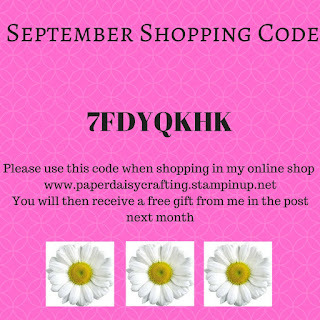 If you would like to see a tutorial of how I made my card just click HERE or on the image below. 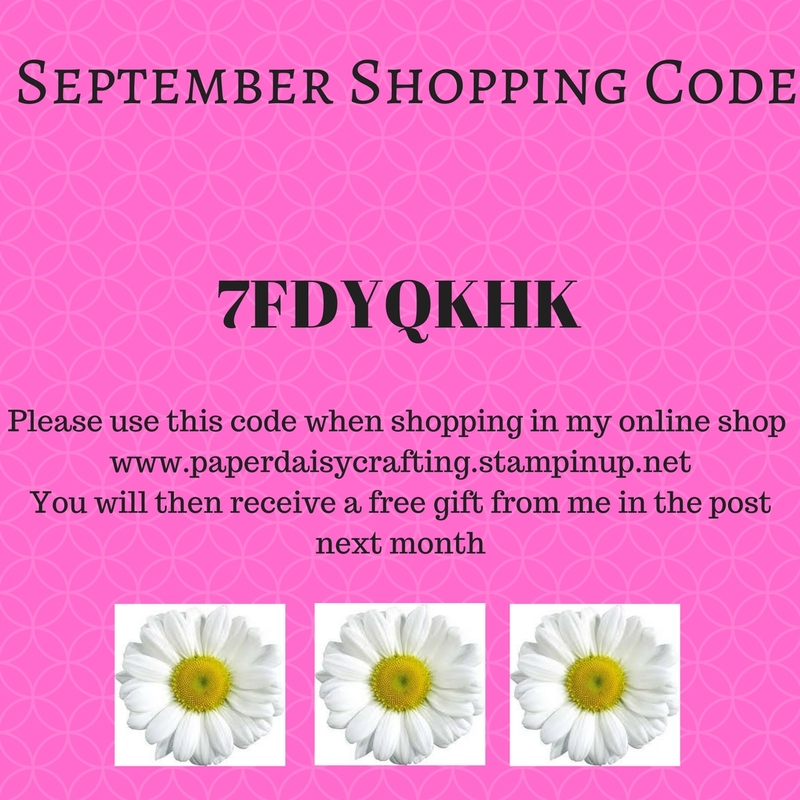 To buy any of the products I have used, just click on the links below - I'd be so happy to add you to my list of customers. I'll be back soon to show you a different version of this card and how I made it.